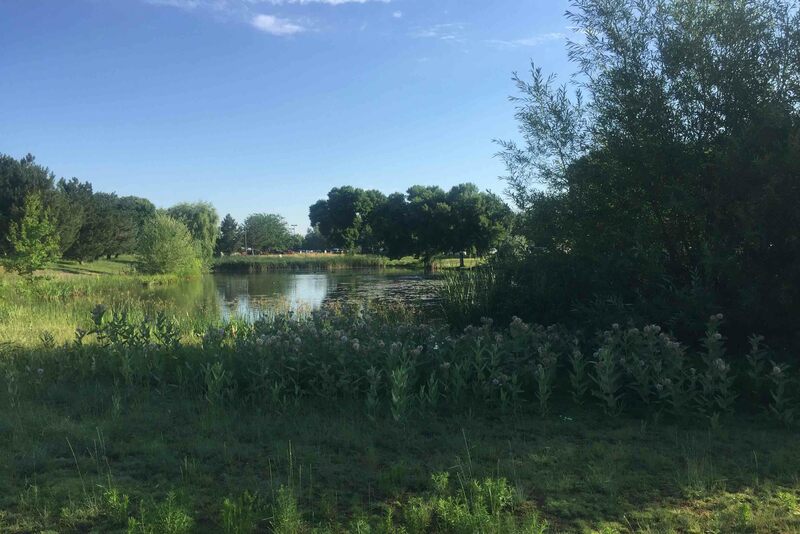 Located to the northwest of downtown Boise, the HP Inc. Boise, Idaho Campus spans roughly 200 acres (40 acres of traditional turf, 4 acres of planters, 30 acres of open field, 36 acres of farmland, 3.38 acres of ponds and 87.19 acres of hardscape with about 20 acres of mature trees on site). The campus was built in the early 1970s, where the prior land was farmland and, today, HP Inc. still farms 36 acres on site for local livestock feed. 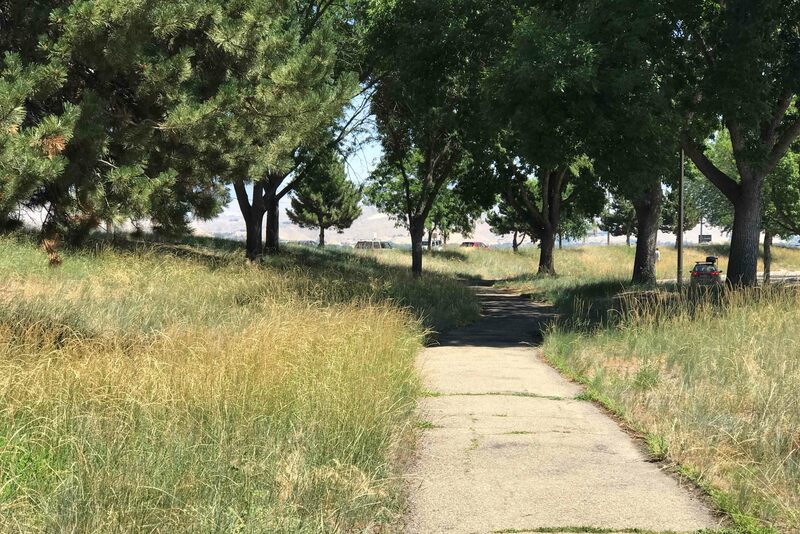 Prior to its redevelopment, the HP Inc. Boise, Idaho campus site featured a “traditional” landscape that predominantly featured Kentucky Blue Grass turf (about 40 acres), which requires an excessive amount of water and maintenance. 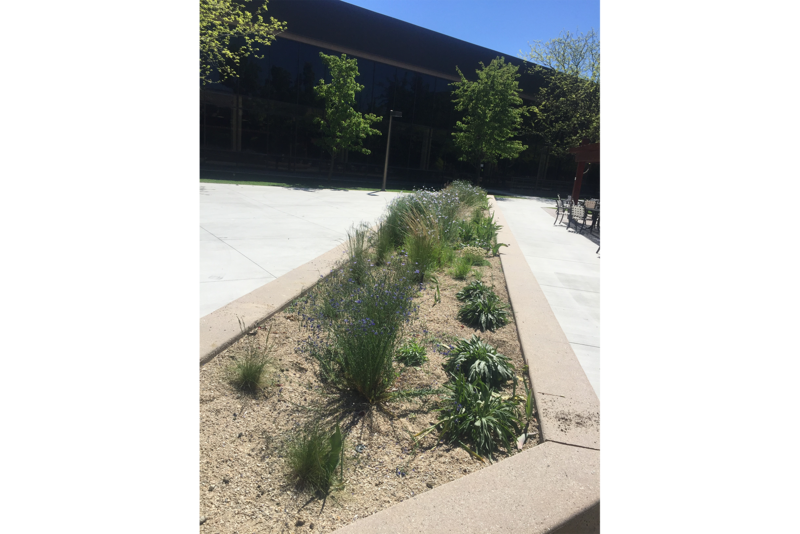 In 2016, the campus approached their construction management company, HC Company, about ways to reduce their overall spending on the landscape. 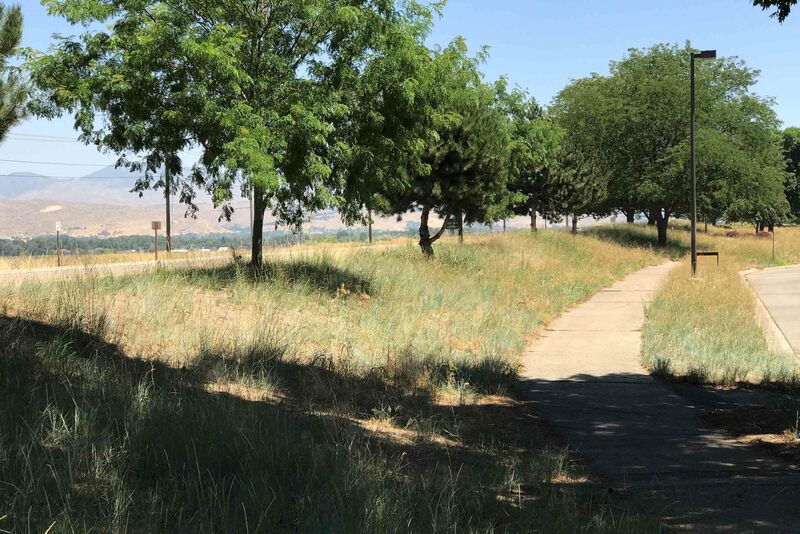 HC Company reached out to the landscape architecture firm Stack Rock Group, who developed an interdisciplinary team of biologists, rangeland ecologists, engineers, the Bureau of Land Management, the MK Nature Center of Idaho Fish and Game and HP Inc. stakeholders, who all collaborated on ways to reduce the water consumption at the campus while still maintaining HP Inc.’s role as a leader in sustainability. This team looked to the SITES rating system as a means to achieve this goal and in 2017, they were awarded with SITES Gold certification and became the first SITES certified project in Idaho. The project is also the first corporate campus in the world to certify using the SITES v2 rating system. HP Inc. credits their success to having a dynamic and diverse team of experts and believe this was an imperative element for ensuring the overall success of the project. Turning off the water to all of the previously existing sod that surrounded the campus core to let it die in the spring/summer months. The sod was then removed and composted on site, and this compost was used to amend existing planter beds on site. Installing a native seed mix in place of high water-demanding sod. 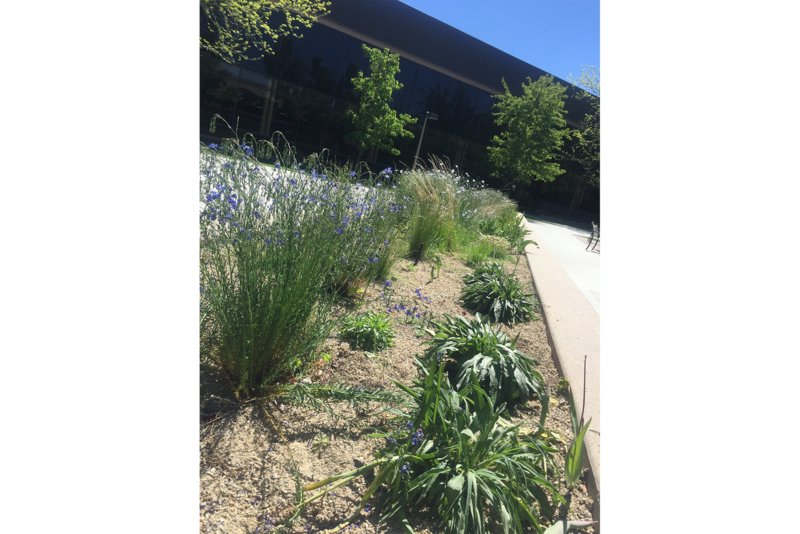 Native vegetation and perennials were also used, which requires significantly less water to maintain the health and vitality of the flora. Collecting stormwater on site and piping it underground into holding ponds. This water is then pumped back into the landscape to irrigate the vegetation. As a result of pursuing SITES certification, HP Inc. has reaped numerous benefits. The campus now saves 82,900 cubic meters of water annually. It has reduced emissions by 90 percent, as well as landscaping costs by nearly 50 percent. Environmental benefits include reducing emissions from landscape maintenance equipment, increasing the biodiversity of the site, increasing soil health and potentially increasing wildlife. 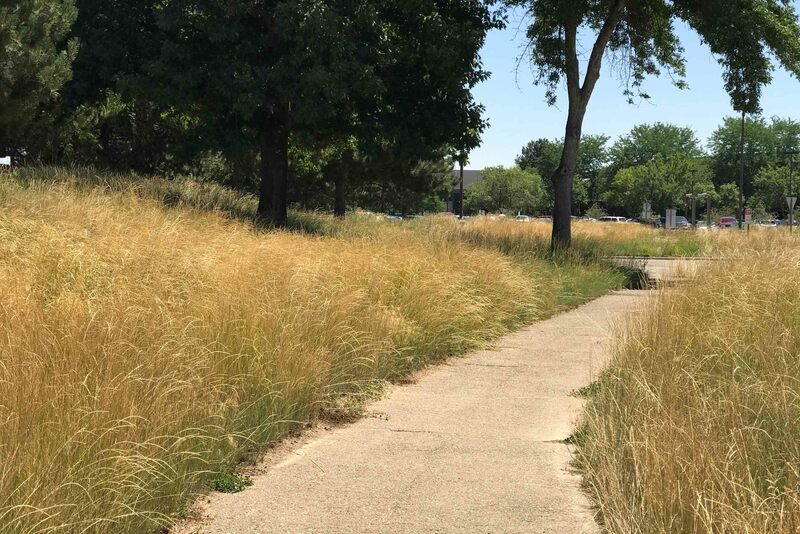 Social benefits include an increase in air quality with reduced emissions and a functional example for educating site users and visitors on the ways in which native plants can positively change a landscape. Earn SITES-specific CE hours for learning more about this project, here.